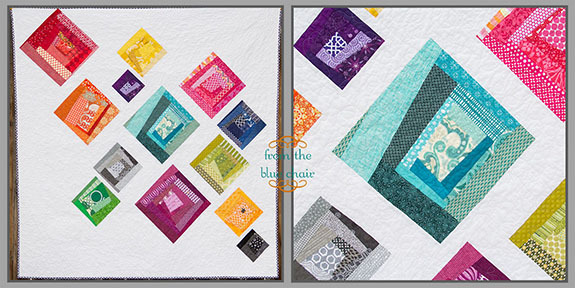 from the blue chair: Crooked Cabins Pattern! Note: This pattern is no longer available for sale. I have finally finished my new pattern for Crooked Cabins! This pdf pattern includes instructions for the original Crooked Cabins design that was featured in Modern Quilts Unlimited. In addition, two variations are included. 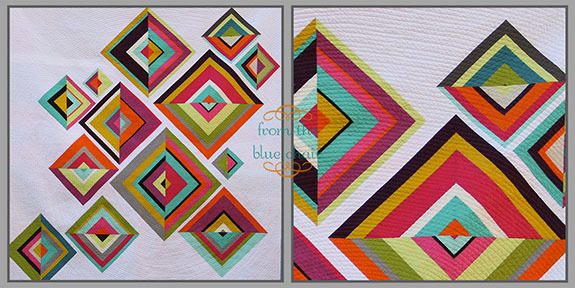 All three designs finish at 68" square. 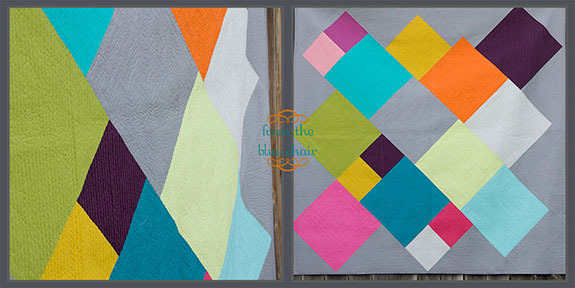 As a bonus, I'm also including a tutorial for foundation paper piecing my Broken Diamond block (please note that a pattern for the original Broken Diamonds quilt is not included). The Broken Diamond block can be used in place of the log cabin or solid blocks in any variation of this pattern. The pattern also includes two sketch pages providing the opportunity to create a unique Crooked Cabins design in the 68" x 68" size or a larger 90" x 90" size (no actual patterns are included for the larger size). All my patterns are on sale this week to celebrate the release of this new pattern! Regular price is $8.00, but they can be purchased this week for just $6.50. Thanks for all your support! I appreciate it and can't wait to see what you all create from this new pattern. Available for immediate download on Craftsy and Etsy. Oh way to go Kati! You did such a good job. What a lot of work for you, what a benefit to the world of quilters. That is awesome! I was about to email you to ask if it was just for the magazine. I'm ordering it now! Thanks! I bought the magazine for this quilt! 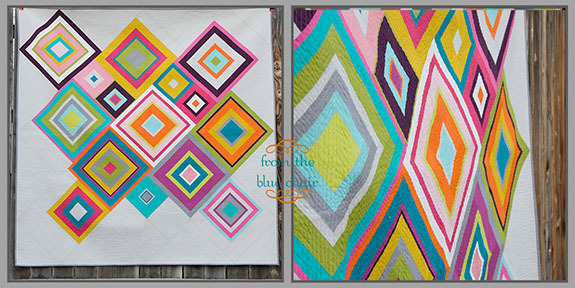 each one of those quilts is beautiful!